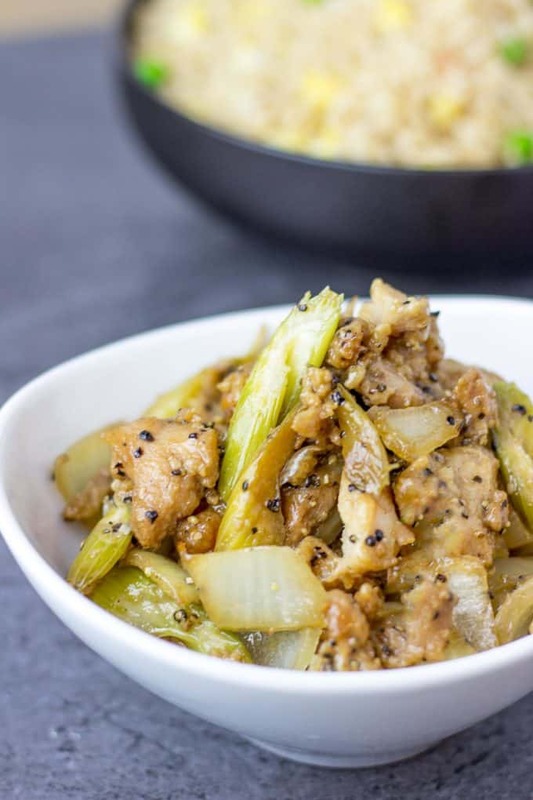 Panda Express Black Pepper Chicken is marinated ginger soy chicken, in a peppery black pepper sauce with celery and onions that tastes exactly like the Panda Express version you love! And really low in fat and WW points! This is my first post of the new year and it seems only fitting that it is a Panda Express recipe copycat. Why is that you ask? You guys LOVE them. Every one of the recipes that have been posted here have been among the most popular recipes on the blog. I don’t blame you all, I love them too. In fact while you only see a recipe posted on here once there are recipes I make for us at home and for clients more than once a week. 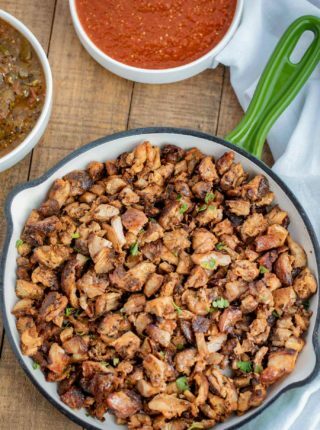 Among those are most of the Panda Express recipes, my Crisp and Juicy Slow Cooker Chicken which we make at home every Sunday night (without exception) and the One Pan Baked Chicken and Rice. Sounds like a lot of chicken right? We have young kids, so plain chicken and baked brown rice are staples in our diets around here. 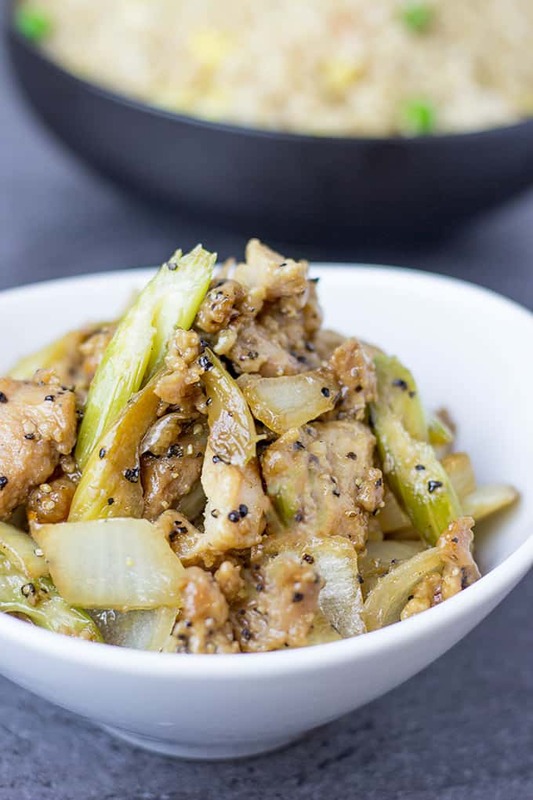 So back to the task at hand, today’s newest Panda Express Black Pepper Chicken recipe! Let’s add it to the arsenal shall we? And if you would like to take a trip down Chinese food memory lane, here are all the other recipes we have so far so you can build your two or three item plates at home. I have to say it has been a little while since I had a new recipe on the blog, and in fact the last one was the accompaniment to this meal (the fried rice). While I’ve been gone I have been working on a project for later this year. So while I thought I would use the last week to decompress and relax, I was writing up a storm! Oh and the best part of the holiday? I didn’t cook a single thing for Christmas since we flew home for the occasion and then I took the rest of the weekend off from cooking for good measure ;). The most important thing I realized in the down time? I look forward to these posts and actually felt sort of odd not waking up to all the interaction I have with you guys each day! What I am trying to say is I missed you all! Its a fresh slate this year, there are a lot of things on the horizon for the blog. 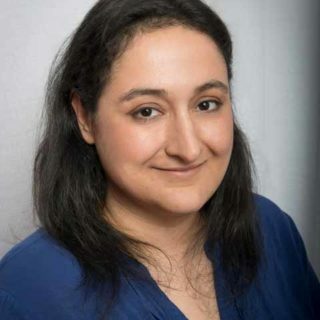 Lot’s of new recipes, a few projects I am working on related to blogging and if all goes well I will be launching a hugely innovative feature on this blog at the end of the month. <—I really hope I did not jinx myself here. 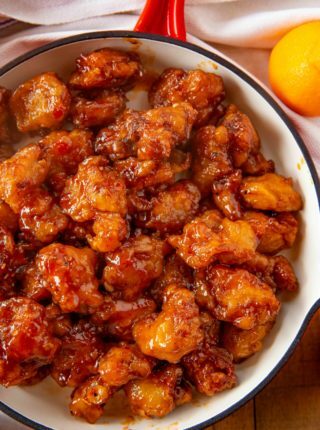 So sit back and eat some delicious Panda Express Black Pepper Chicken because it fits into your New Year’s resolution! 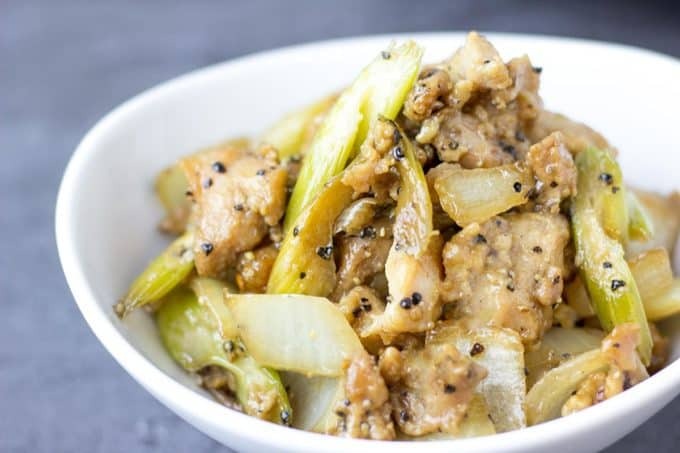 Marinated ginger soy chicken, in a peppery black pepper sauce with celery and onions that tastes exactly like the Panda Express version you love! And really low in fat and WW points! 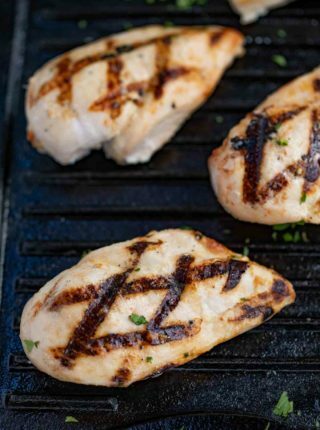 Cut the chicken into one inch bites, and marinade with 2 tablespoons of the soy sauce, 1/2 tablespoon of the chili vinegar, cornstarch and the ground ginger for 30 minutes. Using two tablespoons of canola oil, heat a wok on high. When oil is hot and ripples as you move the pan, add the chicken. Cook on high heat until browned. Remove from the pan and add in the celery and onions with the remaining two tablespoons of canola oil. Cook the veggies on high for 30-45 seconds. You aren't looking to soften them, just to slightly cook them. Add in the remaining two tablespoons of soy sauce, the remaining 1/2 tablespoon of chili vinegar, the cooked chicken and the black pepper. Cook for 15 seconds to combine everything and and serve immediately. *I bought this to stay authentic to Mye's recipe on the first pass, after this I just made my own, 1/2 cup vinegar with one jalapeno soaked for 30 minutes, then remove the jalapeno and use 1 tablespoon for this recipe. I go through the vinegar quickly as we make this recipe quite frequently. This is really good! 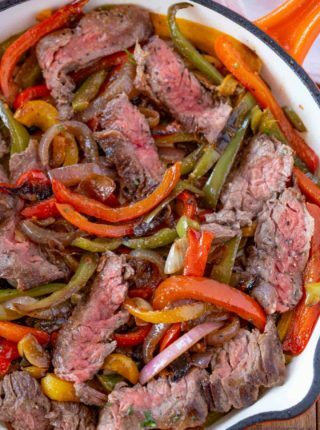 I’d recommend halving the pepper, using thighs, and slicing them in strips (as opposed to chunks) to get a bit closer to the restaurant version, but this is great too, just a bit different. I made this dish last night. I couldn’t find chili vinegar so I ended up using hot sesame oil. I have to say this is one of the best dishes I’ve made! And, it was really easy to make. Thank you for sharing this. Yay! So glad you enjoyed it, Larry. Thanks for the 5 stars. For the ‘light soy sauce’, do you mean low sodium or the Chinese light soy sauce? I’m a former chef of Panda express for 4 years. Your version of black pepper was actually better than the ones we make. I guess at least it’s a bit healthier but still super yummy. The right kick is on the spot. I actually recommend this to every food-lover person I talk to. 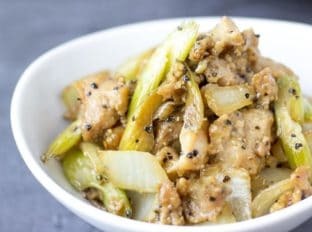 I love finding copy cat recipes from my favorite places to eat and this hands down is the best one I have found so far! It’s easy to make and so delicious. The second time, I did adapt it to my WW lifestyle and it still tasted the same and amazing! Thank you! You’re welcome, Blair! Thanks for the 5 stars! This recipe is exactly what I was looking for. 🙂 For everyone wondering if the chili vinegar is necessary, I would say it adds a lot of flavor and is very easy to make. I just leave the container of white vinegar + the jalapeno in my fridge and have used it for the last 2 months. Thanks again for saving me money. 😉 I can’t wait for dinner tonight! Aw, this makes me so happy!! I’m so glad you love it so much!